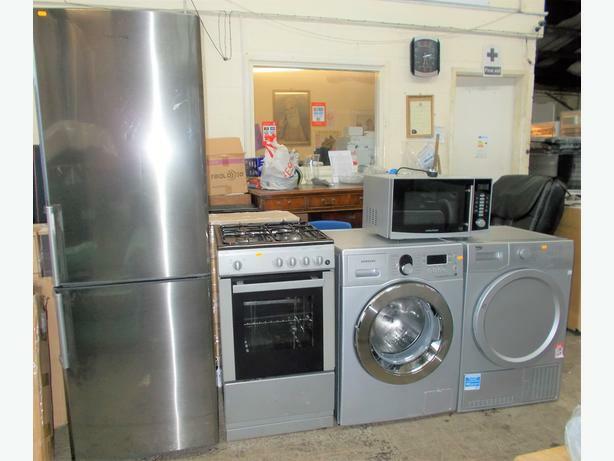 ALL APPLIANCES UNDER ONE ROOF. ALL MAKES IN GOOD WORKING CONDITION . TESTED 100%.WE ARE OPEN 7DAYS A WEEK. JUST CONTACT US. WE DELIVER WITHIN 15 MILES AT EXTRA COST. PLEASE NOTE WE DO NOT DELIVER LONG DISTANCES. FOR MORE INFORMATION CONTACT 01902 420030 OR 07966673960. PLEASE DONATE YOUR UNWANTED GOOD TO EAST AND WEST AID. WE DO COMMERCIAL ITEM AS WELL.